Move over Tickle Me Elmo. There’s a new toy in town and we’re pretty excited about his arrival. 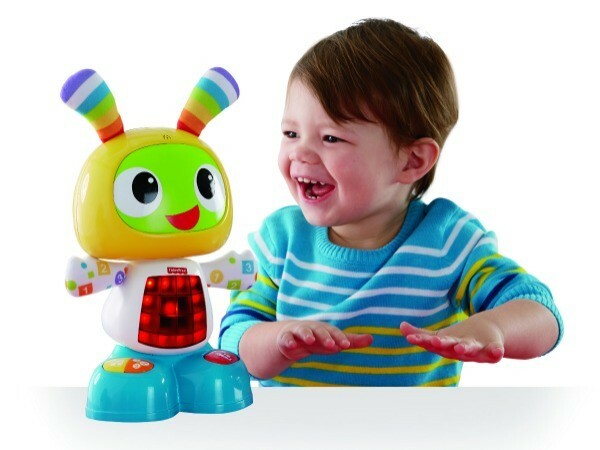 Come and meet the Fisher-Price BeatBo, a futuristic friend who takes musical genius and entertainment awesomeness to the next level. 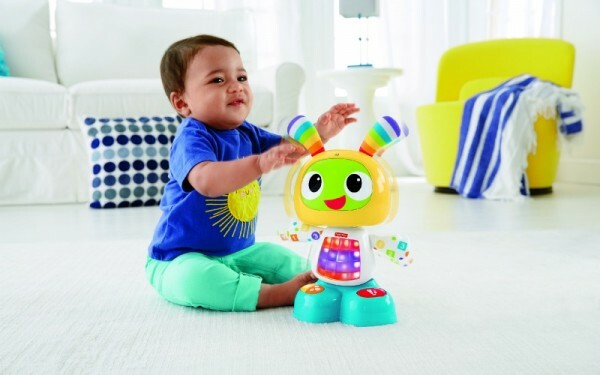 We love finding new baby products and toddler toys that really push the boundaries and Fisher-Price Bright Beats Dance & Move BeatBo does all this and more. Step right up, mums and dads and see a new musical toy that ticks all the boxes for keeping your child busy and engaged. There are plenty of musical toys on the market but none of them cover as many bases as BeatBo. Why is that? Because BeatBo sings. BeatBo makes up songs. BeatBo lights up. BeatBo nods his head. BeatBo shakes his hips. He’s like a little toddler-sized rock star. He is pretty much the life of the party and he’s ready to shake, dance and roll whenever you are (and when you’re not – so you can turn him on and go sit down for a while). He even allows you or your child to record a phrase and he will remix it into his favourite song. If that’s not an awesome party trick, then I don’t know what is. But BeatBo is filled with heaps of other surprises as well. He has a large multi-coloured LED grid on his tummy and comes with three modes – Dance ‘n Move, Learning & Games and Customised Sing-Along. 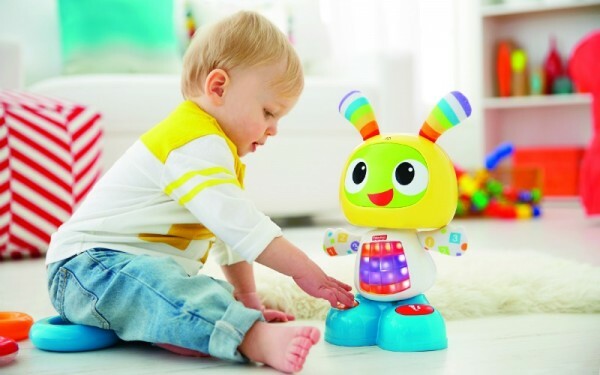 Plus, he is incredibly easy to use and grows with your little one – simply press his tummy or any of the buttons on his feet to activate songs, learning content and dance moves. BeatBo helps introduce your little one to letters, colours, counting, music, cause and effect and more. BeatBo officially ticks all three of the Play IQ boxes for physical, cognitive and social/emotional development, with functions aimed to strengthen your child’s gross and fine motor skills and engage the senses. 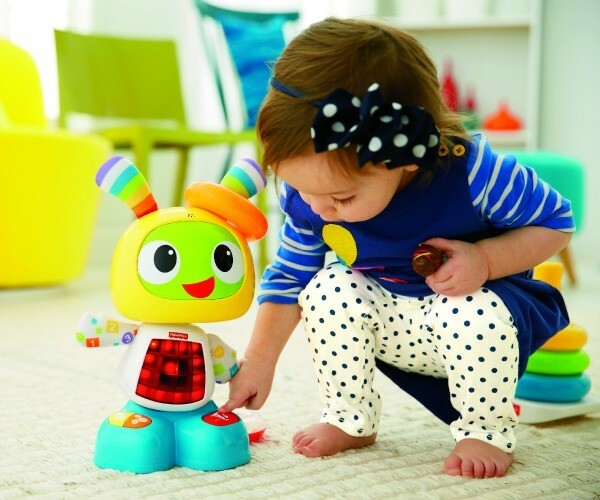 Retailing at $90, BeatBo is the kind of Christmas present that will keep your infant or toddler busy all day. And, best of all, you can simply turn him off when you’re ready to call it a night. If only it were that easy to lower the volume on children….